Despite the positive start to the season, we had to contend with a bit of a crisis. Within a space of a month I’ve had 4 of my first team players receive long-term multi-months injuries. I could be bitter, blaming it on the fact that I was playing with an earlier patch at time that made injuries a tad too common. But realistically, I am using a high intensity high pressing system that demands a lot from my players’ stamina and natural fitness. Injuries were bound to happen sooner or later. So instead of reloading or restarting my save I decided to use it as a theoretical experiment and a proper challenge to test the depth of this squad. As I intend this article to showcase, there are some positives to losing your important squad players for a few months. It does not necessarily spell the end of a successful season, since sometimes a few long-term injuries is just the catalyst that a team needs to bring it to the next level. An injury crisis… a nightmare of every football manager, especially this early in the season, which could sometimes sound the death toll of a successful season. While it’s true that Kalitvintsev and Bueno only played a secondary role in my squad, they were still valuable rotation players. Bueno’s broken foot would sideline him well into the winter break, so I actually ended up terminating his loan shortly after taking this screenshot. It just didn’t make sense for me to pay his expensive loan fees for 2-3 months with no game time to show for it. I’m starting to regret more that I did not add anybody during the transfer window, rather choosing to stick with the starting squad for the added challenge. After all, I am going with academy challenge for this save so I prefer to stay as true as possible to my goal of only developing my own players. But maybe in the future I’ll get one or two Ukrainians on loan just as extra reassurance. One player that I feel like I should have gotten on loan was Man City’s Oleksandr Zinchenko (who is currently languishing in RCD Espanyol). It’s a shame that such a great player is barely used there, when he could have been a valuable addition to my system. Maybe next season we could bring him in. Anyway I digress. 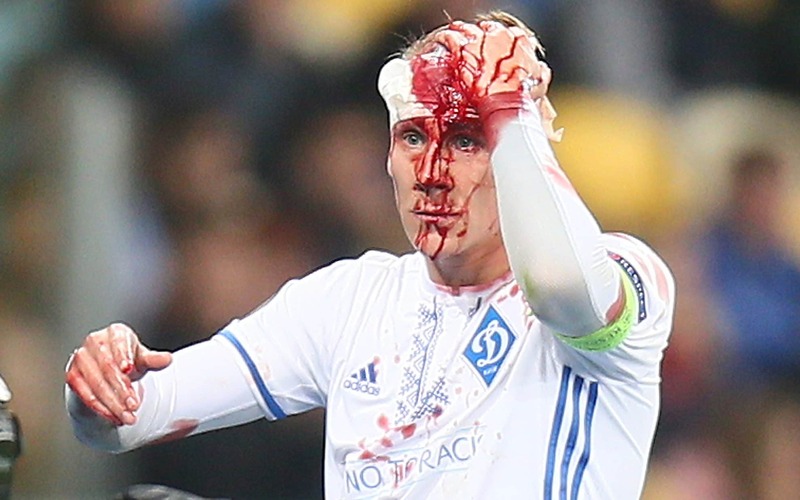 Of those four injuries, the two that were most disappointing were losing my star Advanced Midfielder Buyalskyi and the Slovenian international winger Verbic. While Buyalskyi’s injury is more short term than Verbic’s, it is still devastating losing two players that are so essential to my tactic. Both had perfect attributes for my pressing system, and Buyalskyi even lost 2 points of stamina immediately because of his injury. Well, that’s football and there is no going back. The best any manager can do in such situation is to reassess the rest of the squad and reserves and give younger players a chance to showcase their talent. Luckily for me, there happens to be a few such players in my reserves and youth academy who can potentially step it up for the benefit of the team. While I have been integrating 3 of my highest rated youth prospects since August when I placed them in the first team squad to train with the veterans, now during the injury crisis is their chance to show what they learned over the last 3 months. So far, Eugene Smyrnyi has been a bit of a revelation. While his current attributes might not show it, he already has the makings of a great winger equaling if not surpassing Verbic’s ability in a few years. He is only 20, but already is slowly making his way into the first squad, scoring 1 goal and assisting on 2 others in only 4 appearances. Also training with senior team are Supryaga and Tsitaishvili who are not far behind in terms of quality. Supryaga is a pure poacher type scorer with loads of potential and while he does not appear to fit into my system right now, I’m hoping that his mental attributes will develop further in order to merit him a rotation spot in the lineup for next season. Maybe a loan spell is needed in the future to help him get more experience. Nevertheless he already put in a decently good performance in a few appearances this year. Tsitaishvili is a bit of a diamond in the rough, and while still far from cracking the first team, is one of our best rated youngsters. Speaking of youngsters, from the first look this has got to be one of the best teams that I have seen in terms of quality young talent under 21 years old. There is a good prospect in almost every position, from defensive midfielder to fullbacks. Even though they might not be able to add much to the first team this season or next season, their raw potential is undeniable. I’m excited by the prospect of molding an all-Ukrainian squad around this young core for the next couple of years. Last we left of at the end of September, and were about to face Feyenoord in Euro Cup H Group. That game we won 2-1. Overall we did well in our group, coming in second place after AC Milan with 4 victories and 2 defeats, both of them coming from the Rossoneri. We just could not solve their 4-1-4-1 DM Wide formation with its pace on the wings and the rejuvenated Higuain leading the center. So despite advancing to Europa’s First Knockout Stage, I have a feeling that we will run into Milan in later stages. But for now I am just happy to keep our European run going. So far Europa League has been a success, we knocked out both Ajax and Real Hispalis in First and Second Knockout Rounds. Our next opponent is none other than the newly upstart corporate giant RB Leipzig. A tough opponent indeed as they are currently 1st in the Bundesliga with but a handful of games left. A foresee a very interesting aggregate series with them. Our first game is on April 11 at Leipzig at Red Bull Arena. Despite the two continental losses and long-term injuries to key player, we actually went on a significant run of good form, not losing a domestic game since November 4. As of March 2019, we are domestically undefeated, awaiting the League playoffs. Naturally for better or for worse the first match is against our bitter rival Shakhtar on April 7. What pleases me even more is that we only conceded 3 goals in this 5 months long stretch between October and April. Overall we lead the league with 52 goals scored in 22 matches and only 7 of those came from set pieces. A big factor in those goals has been the hard work of my pressing forward, Artem Besedin. You can read more on what makes this player so special in Part 3 of my Dynamo Saga. Skipping to the end of the season in June, I just wanted to show off how some of these players turned out, thanks to a little first team game experience and strategic loan placement. Eugene Smyrnyi is probably the one that improved the most, having many of his attributes increase by at least 1 point. With 2 goals and 4 assists in 9 games (in 5 of which he was a sub) he has definitely secured his place as rotation option for Verbic. Supryaga has also had a breakthrough in his development. He went out on a short term loan in the 2nd part of the season and ended up scoring 4 goals in 11 games for Karpaty Lviv. He is starting to look more and more as a deadly poacher that I was foresaw at the start of the season. I’ll probably be retaining him in the first team next season. Tsitaishvili’s development was more modest, but he only started in 6 games this season. Thus from the case of Smyrnyi and others, we have some first rate examples of how sometimes an injury crisis is not as bad as it initially appears and can instead be a catalyst that jumpstarts the development of young raw talents. One should never despair when faced with several injuries in the squad. Its an inevitable part of footballing life which sometimes leads to unexpected and positive change. Therefore we should resist our initial urge to reload the save, and instead play through the adversity and just see what happens. Embrace the changes as positive and live by the wise words of one anonymous philosopher, “something good always comes out of failure”.